The Aosta Valley is a mountainous area in northwestern Italy. It is bordered by the Rhône-Alpes in France to the west and Switzerland to the north. it is the smallest, least populous and least densely populated region of Italy. It is the only Italian region that no longer has any provinces. The province of Aosta was dissolved in 1945. However, the region is divided into 74 comuni (communes) and Italian and French are the official languages. The population density of Aosta Valley is by far the lowest of all the Italian regions. The region is very cold in the winter, especially when compared with other places in the Western Alps. This is probably due to the mountains blocking the mild winds from the Atlantic Ocean. Places on the same altitude in France or western Switzerland are not as cold as the Aosta Valley. 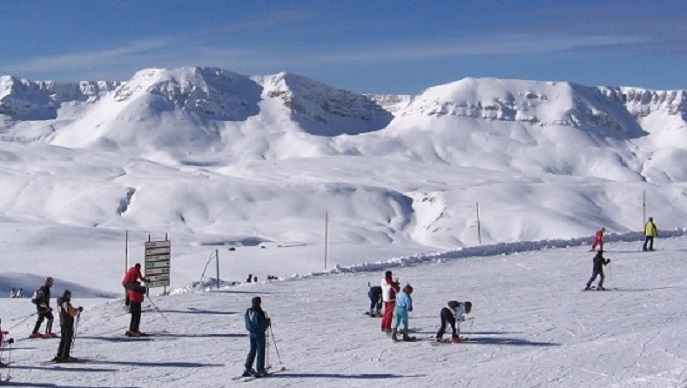 In this climate the snow season is very long, as long as 8 or 9 months at the highest points. During the summer, mist occurs almost every day. These areas are the wettest in the western Alps. Temperatures are low, between −7 °C (19 °F) and −3 °C (27 °F) in January and in July between 10 °C (50 °F) and 13 °C (55 °F). The first inhabitants of the Aosta Valley were Celts. Rome conquered the area around 25 BC to secure the strategic mountain passes, and they went on to build bridges and roads through the mountains. The Aosta Valley remained agricultural until the construction of hydroelectric dams that brought the metalworking industry to the region. Agriculture has become increasingly specialized, retaining only a small output of cereals, potatoes and fruit. Animal feed crops supply the region’s dairy herds which are pastured in the high Alps during the summer period. The region’s cheeses are renowned throughout the world. Fontina cheese has been made in the Aosta Valley, in the Alps since the 12th century. It has a milk fat content around 45% and can be identified by a Consorzio (Consortium) stamp of the Matterhorn including the label, “FONTINA”. As with many other varieties, the name “Fontina” is also known as “Fontinella”, “Fontal” and “Fontella”. Although the version from Aosta Valley is the only original and the most famous, a derivative production occurs in other parts of Italy, as well as Denmark, Sweden, Quebec, France, Argentina and the United States. The original Fontina cheese from Aosta Valley is fairly pungent and has an intense flavor. The Swedish and Danish versions are often found in US grocery stores and can be distinguished from Aostan Fontina by their red wax rind (also prevalent in Argentine Fontina). Aostan Fontina has a natural rind due to aging, which is usually tan to orange-brown. It is noted for its earthy and woody taste and it pairs well with roast meats and truffles. Its rich and creamy flavor gets nuttier with aging. The interior of the cheese is pale cream in color and riddled with holes known as “eyes”. Fontina produced in the Aosta Valley must be made from unpasteurized milk from a single milking, with two batches being made per day. Young Fontina has a softer texture (and can be suitable for fondue or for a table cheese board). Fonduta alla valdostana (in Italian) or Fondue à la valdôtaine (in French) is a traditional dish of Fontina whipped with milk, eggs and truffles. Mature Fontina is a hard cheese used for grating. The curd that forms is cut and drained in nets, then put into round molds for 12 hours. When the cheese is taken out of the molds, it is salted and, then, rested for two months in a cool place. At the end of two months, the cheese is taken to caves where it is aged for a further 3 months (The aging apparently still happens in caves or grottoes, on pine shelves.) During this period in the caves, the rind is washed with brine every other day and, on the alternating days, it is brushed to take away any mold that forms on it. Wines of high quality are produced in small quantities in the Aosta Valley. All are entitled to the Denominazione di origine controllata (Valle d’Aosta DOC / Vallée d’Aoste DOC) label. The wine making region is generally divided into three areas. In the northwest, the Valdigne area south of the commune of Courmayeur is home to the highest elevated vineyards in Europe at 3,937 feet above sea level. The white grape Prié Blanc (also known as Blanc de Morgex) is the main production grape in the area and is used to produce the wine, Blanc de Morgex et de la Salle in both a still and sparkling wine style. The Central Valley is the region’s most productive area and is further sub-divided into four areas: Enfer d’Arvier, Torrette, Nus and Chambave. The Enfer d’Arvier is a red wine producing area around the village of Arvier. The wines from this area are blends made primarily from the Petit Rouge grape with lesser amounts of Dolcetto, Gamay, Neyret, Pinot noir, and/or Vien de Nus. Previously Enfer d’Arvier had its own DOC designation but was subsequently incorporated into the Valle d’Aosta DOC. White wines are made in this area from a Pinot Gris clone known as Malvoisie including a sweet passito straw wine.The red wines made here are composed of at least 60% Petit Rouge with some Dolcetto, Gamay and/or Pinot Noir. The white wines made here are from the Moscato Bianco grape. The Lower Valley is known primarily for two styles of wine: a medium-bodied dry red wine made from at least 70% Nebbiolo with some Dolcetto, Freisa, Neyret, Pinot Noir, and/or Vien de Nus and a wine made from at least 85% Nebbiolo with some Freisa, Neyret, Pinot Noir and Vien de Nus. Church in the village of Saint-Jacques. Aosta Valley, Italy. The cuisine of Aosta Valley is characterized by simplicity that includes “robust” ingredients, such as potatoes, polenta; cheese, meat and rye bread. Many of the dishes are made with Fontina cheese. It is found in dishes, such as the soup à la vâpeuleunèntse (Valpelline Soup). Other cheeses made in the region are Toma, Seras and Fromadzo (which have been produced locally since the 15th century and also have PDO statu). Regional specialities are Motzetta (dried chamois meat, prepared like prosciutto), Vallée d’Aoste Lard d’Arnad (a cured and brined fatback product with PDO designation), Vallée d’Aoste Jambon de Bosses (a type of ham, likewise with the PDO designation) and a black bread. Notable dishes include Carbonnade, salt-cured beef cooked with onions and red wine and served with polenta; breaded veal cutlets called costolette; teuteuns, salt-cured cow’s udder that is cooked and sliced; and steak à la valdôtaine, a steak with croûtons, ham and melted cheese. Grappa is an Italian brandy distilled from the fermented residue of grapes after they have been pressed in wine making. Pour the coffee into a small saucepan. Add the grappa, half of the lemon peel and the 4 teaspoons of sugar. Stir the mixture over the heat and bring to a low boil. Turn the heat off and remove the lemon zest. Pour the coffee into the grolla pot or friendship cup having sweetened the openings or mouths of the cup with extra sugar. Then light the mixture with a match or lighter and you will see a blue flame. After a short time, put out the flame and add the remaining lemon zest. Drink from the grolla, together with the other diners passing the cup around. If you don’t have a grolla or friendship cup, use a fondue set. Place the coffee ingredients in the fondue pot and bring it to a boil. Boil and light the liquid with a flame. Serve the coffee in individual cups sweetened with sugar. Saute’ the mushrooms with the whole garlic clove in 2 tablespoons of the butter over a high heat. Add salt and pepper, lower the heat and cook for 3 minutes. Discard the garlic. Cook the pasta al dente according to package directions. Drain and dress with the remaining 2 tablespoons of butter. Butter an ovenproof dish and cover the bottom with a layer of penne. Distribute about a quarter of the mushrooms and the sliced cheese evenly over the pasta and sprinkle with 1 tablespoon of Parmesan cheese. Add another layer of pasta and cover with mushrooms and cheese as before. Repeat until you have used all the ingredients, finishing with a layer of sliced cheese. Pour the cream over the pasta layers, sprinkle with salt and pepper and bake, covered with foil, in a preheated oven at 400° F for 10 minutes. Bake uncovered for a further 10 minutes, or until a light crust has formed on the top. Remove the pasta from oven and allow to rest for 5 minutes before serving. Cut a horizontal slit in each chop, leaving the meat attached at the bone end. Open the two flaps of each chop and place 1 slice of Fontina over the bottom flap; lay the top flap over the cheese to close. Using a meat mallet, pound each chop gently to seal the pocket. Season both sides with the salt and pepper. Place the flour on one plate, the beaten egg in another and the breadcrumbs on a third. Dredge the veal chops in the flour and shake off the excess; dip into the beaten egg, coating both sides well; finally, dip into the breadcrumbs, pressing on both sides to help them adhere. Melt the butter in a 12-inch skillet over medium-high heat until foaming. Add the chops and cook until golden on both sides, turning once; it should take about 5 minutes per side. Serve hot. Combine the water and yeast in a small bowl, stir to dissolve the yeast. Cover and set aside while you get the other ingredients ready.. In a food processor fitted with the steel blade, pulse the flour and salt a couple of times to mix. Add the butter and pulse until the butter is finely mixed in but the mixture is still powdery. Add the yeast mixture all at once, and pulse until the ingredients form a ball. Put the dough into a greased bowl, turning the dough over so that the top is greased as well. Cover the bowl with plastic wrap and let the dough rise until it is doubled in bulk, about an hour. After the dough has risen, press it down to deflate it. Chill for at least 1 hour and up to 24 hours. Cover two large baking sheets with parchment paper or silicone mats. Set aside. When you are ready to form the cookies, remove the dough from the refrigerator and press it into 8-inch square. Scatter some of the 2/3 cup of sugar on the work surface. Cut the square of dough into eight 1-inch stripes, adding more sugar as needed to keep the dough from sticking. Cut each strip into 6 equal pieces, to make 48 pieces total. Roll a piece of the dough on the sugared surface under the palms of your hands to make a pencil-thick strand about 5 inches long. Form a loop by crossing over the ends about 1 inch up from the ends of the dough. As the cookies are formed, place them on the prepared pans, leaving about 1 ½ inches space around the cookies. Let the cookies stand at room temperature until they puff slightly, about 20 minutes. Center an oven rack and preheat the oven to 325 F. Bake the cookies, in batches, until they are light and the sugar has caramelized to a light golden crust, about 25 minutes. Turn the cookies from back to front after the first 15 minutes of baking. Cool the cookies on a rack. Store in an air-tight container at room temperature. The Province of Perugia is the larger of the two provinces in the Umbria region of Italy. The eastern part of the province is a hilly region while the rest is covered by forests. Perugia is home to the largest lake in central Italy, Lake Trasimeno. The southern regions are less hilly. Silk, corn and grass are some of the most important agricultural products of the province. Over the centuries, Perugia has been ruled by numerous different peoples, evidence of which can be found in the many archaeological remains. Artifacts from the Roman period include paved roads, the forum, the cisterns, a Roman amphitheatre and the thermal baths. The Province of Perugia hosts events, such as Eurochocolate where chocolate in all its varied forms is on display and Umbria Jazz, a music festival that every year gathers together important artists of the jazz world. The cuisine consists of rustic cooking traditions with many recipes still influenced by ancient rituals and rules. Black truffles, a local product, are used in many dishes. Easter Pizza and a salted panettone (Christmas cake) flavored with pecorino (made from sheep’s milk cheese) are regional classics. The lentils from Castelluccio are known for their tiny size and their soft hull. Salami and cold cuts from Norcia are well-known throughout the world. 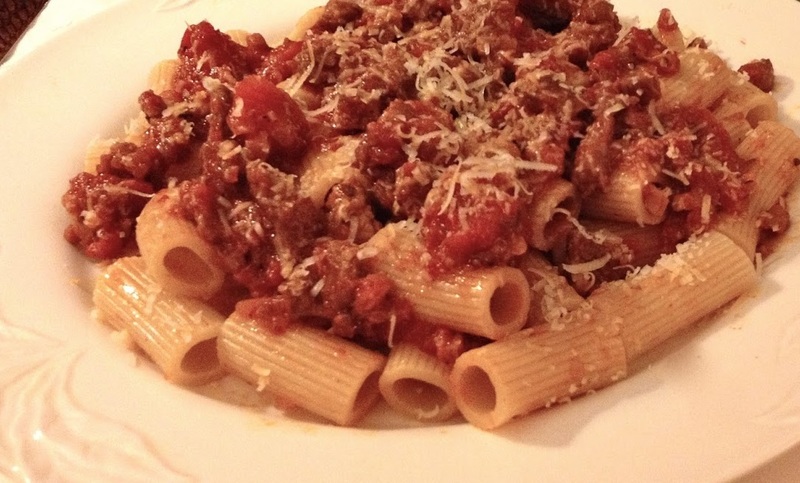 Strangozzi, or Strozzapreti pasta made with water and flour is served with meat sauce. The types of meat that are used for second courses are pork made from nut-fed black pigs, boar and lamb. Fish from Lake Trasimeno are the basis for many dishes, such as Tegamaccio, a seafood soup, made with different types of lake fish such as perch, trout, carp and pike. Another local favorite is Parmigiana di Gobbi, a dish that dates back to ancient times made with cardoons (the gobbi), served with sauce, mozzarella and Parmigiano. Popular desserts include pinacate, a pine nut-based sweet, torciglione made with raisins, walnuts and dried figs and torcolo, essentially a large donut with raisins and candied fruit. And of course, Italy’s version of the chocolate kiss, Baci Perugina, chocolate and hazelnut truffles in their famous silver and blue wrapping, with a romantic message tucked inside, were invented here. Also Stacchetti (a mix of almond, cacao and sugar covered with meringue) and Struffoli (small balls of dough fried and sweetened with honey) are additional well-known desserts. In the past, Torta Umbra al Formaggio, a savory cheese bread from the Umbrian region, was traditionally enjoyed on Pasqua (Easter) morning with boiled eggs, prosciutto and other cold cuts. Today, it can usually be found as an accompaniment to any meal. Grease a 9-inch cake pan with olive oil. Using a strip of parchment paper, line the top of the pan to add an additional 2 to 3 inches of height. Sprinkle the yeast over the warm water (110°F) in a large stand mixer bowl; let stand until foamy (about 5 minutes). Add sugar and 1/3 cup of the flour without stirring. Let it rest (covered with plastic wrap) for 20 minutes. Add the rest of the flour, the eggs, butter and oil. With the paddle attachment mix until the dough pulls away from the sides of the bowl. Switch to the dough hook attachment. Add the salt and continue mixing at medium speed until the dough is soft, shiny and elastic (7-10 minutes). Add the pepper and cheeses and knead the dough until thoroughly combined. Let it rest in an oiled bowl, covered, until it doubles in size (about 2 hours). Punch down the dough. Form the dough into a round loaf. Place into the prepared pan. Cover with plastic wrap and let it proof until it doubles in size (about 1 hour). Bake for 45 minutes at 400° F. Let it sit for 20 minutes before cutting and serving. Shave half the truffle and set aside. Pound the remaining truffle in a mortar together with the garlic, adding the lemon juice and olive oil until the mixture becomes thick and creamy. Season with salt and pepper. Tear the bread slices into smaller pieces, toast and spread the truffle and garlic paste on top. Garnish with the shaved truffle slices and serve. Soak chickpeas overnight in a bowl of cold water. Drain. Place chickpeas in large soup pot. Cover with water to 1 inch above the chickpeas. Add rosemary and half the sage leaves. Cover and cook on low 3 1/2 to 4 hours. In a skillet placed over medium heat, heat 2 tablespoons olive oil and sauté garlic, carrot, onion and celery. Season with salt and pepper and cook until the vegetables are tender. Set aside. Remove and discard the sage leaves and rosemary from the cooked chickpeas. Drain the chickpeas, reserving the cooking liquid. In a blender or with a hand immersion blender, purée half the chickpeas, along with 2 cups of the chickpea cooking liquid. Return puréed chickpeas and sautéed vegetables to the soup pot. Cover and cook 60 minutes. Serve the soup in warmed bowls with a drizzle of oil, remaining sage leaves, black pepper and grated cheese. Grated parmesan cheese or pecorino cheese of Norcia. Finely chop the onion and saute in extra-virgin olive oil in a skillet. Remove the casings from the sausages and add it to the onion and cook until brown and crumbled. Lower the heat and add the white wine. Cook until it evaporates. Add the cream and as soon as it’s hot remove the pan from the heat. 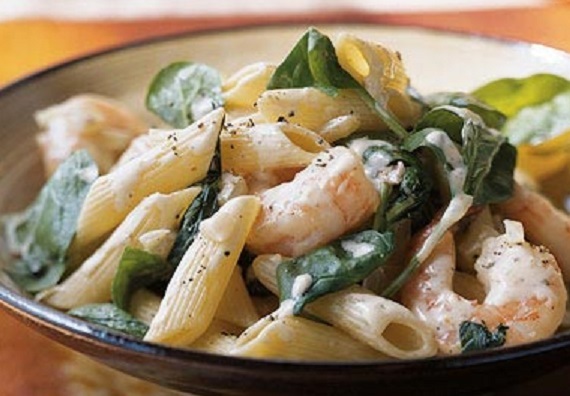 Cook the penne pasta in boiling salted water until al dente. Drain and mix the pasta with the sauce. Add black pepper and grated cheese. Serve immediately. This is best started the day before you wish to serve it. Place the pork belly skin side up. Using a sharp knife, score the skin on the diagonal making a diamond-shaped pattern. Try to cut only the skin itself. Turn the belly so the skin side is down. Score the belly flesh in the same diagonal diamond-shaped pattern. Salt both sides of the belly, as well as the pork loin roast. Set aside while you make the seasoning mixture. Place the fennel seeds in a hot sauté pan and toast just until they start to brown. Add the olive oil, chopped fresh fennel, garlic and rosemary and saute until the fennel is soft, about 4 minutes. Add the chopped fennel fronds and remove from the heat. Cover the entire loin and the flesh side of the pork belly with the seasoning mixture. Roll the belly around the loin so the short ends of the belly meet or come as close to meeting as possible. If there is a bit of loin still exposed along the bottom, put this side down in the pan. If the loin is longer than the pork belly or the belly longer than the loin and one sticks out, trim the longer piece so the ends are flush. Tie the roast with kitchen twine at about 1/2” intervals. Place the roast on a wire rack set in a sheet pan, with any gap where the pork belly may not cover the loin at the bottom. Place the roast, uncovered, in your refrigerator for 1-2 days to allow the seasonings to penetrate the roast and the skin to air-dry. When ready to cook, remove the roast from the refrigerator and allow to sit at room temperature for 2 hours. Roast for 45 minutes. Reduce heat to 300°F and continue to roast until the porchetta reaches an internal temperature of 140°F, about 1 1/2 to 2 hours more. If the skin is not as brown and crispy as you’d like, turn on the broiler and finish browning the skin, keeping a careful eye on it so it doesn’t burn. Slice into 1/2 inch rounds for serving as a roast or into very thin slices for porchetta sandwiches. Combine the sugar, salt, butter,egg yolk and vanilla in the mixer bowl and start on medium. Sift the flour and cocoa together. Pour the flour and cocoa into the mixer bowl. Turn up the speed until the mixture comes together into crumbs. Press into a ball, wrap tightly and let rest in the refrigerator for about 30 minutes. Roughly chop the chocolate bar and the Baci and melt them in a double boiler. Heat the cream in a saucepan until almost boiling and pour over the melted chocolate. Stir until the color is uniform and mix in the sugar until it dissolves completely. Let cool slightly. Lightly beat the eggs and set aside. Line the bottom of the tart mold with parchment paper. Roll out the crust to about 1/2” thick and place in the mold. Press it down gently and eliminate any overhanging pieces. Quickly whisk the beaten eggs into the chocolate cream and pour the filling into the tart shell. The filling will appear quite liquid. Place the tart on a sheet pan and bake for 45-50 minutes, until soft but set and not jiggly and a toothpick inserted in the middle comes out slightly damp but otherwise clean. Let cool and dust lightly with cocoa powder before serving. Pumpkins haven’t always been popular. In fact, pumpkins were hardly eaten by people for a considerable part of the 19th century. Now, we have pumpkin flavored yogurt, coffee, candies, muffins and more. While the round orange pumpkin is the most recognizable pumpkin, pumpkins come in many different shapes, sizes, and colors. Pumpkins are native to Mexico, but are grown on every continent except Antarctica. Americans love pumpkin, but so do the people on the other 6 continents who choose to grow them. America’s love is usually concentrated around Halloween and Thanksgiving. 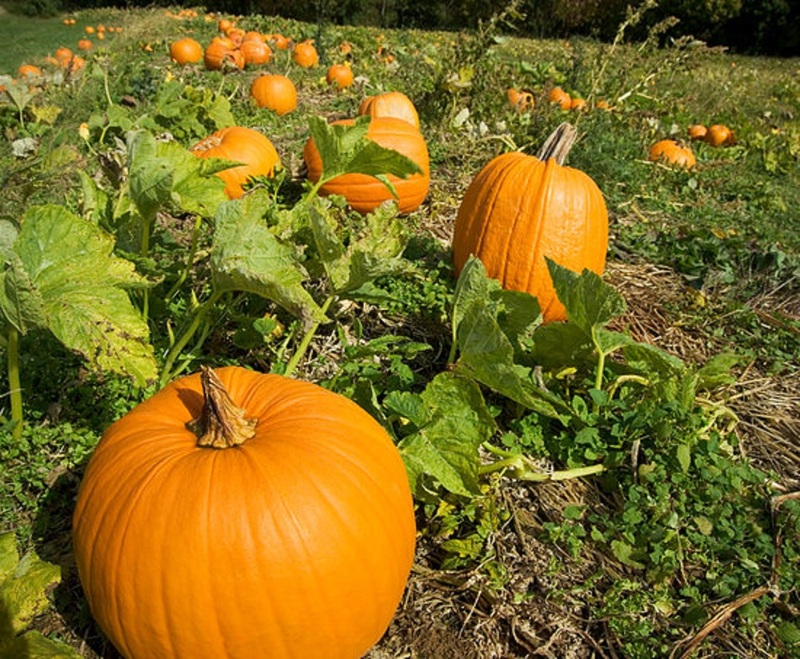 Today, more pumpkins are grown in Italy than in America. In all of Italy’s diverse 20 regions, it is the people of Veneto, who give the pumpkin its highest esteem. The pumpkin — marina di Chioggia, also known as sea pumpkin, after its native town in the lagoon, is the most popular. The pumpkin’s bland and compact flesh make them an ideal canvas for the savory and sweet creations of Italians cooking, such as pumpkin risotto, pumpkin tortelli, cappelletti and gnocchi. 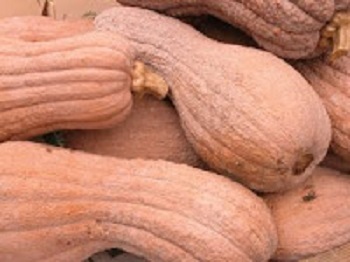 Choose sugar pie pumpkins or other flavorful varieties. Small and sweet with dark orange-colored flesh, they’re perfect for pies, soups, muffins, and breads. A medium-sized (4-pound) sugar pumpkin should yield around 1½ cups of mashed pumpkin. 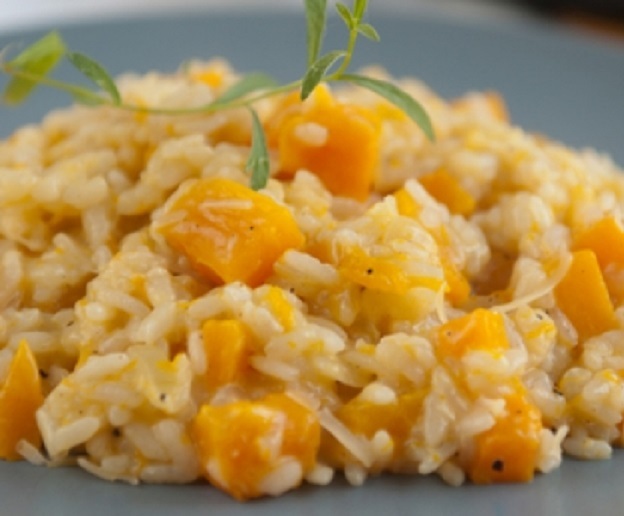 This puree can be used in all your recipes calling for canned pumpkin. Field pumpkins, which are bred for jack-o’-lanterns, tend to be too large and stringy for baking. Cut the pumpkin in half and discard the stem section and stringy pulp. Save the seeds to dry and roast. In a shallow baking dish, place the two halves face down and cover with foil. Bake in a preheated 375 degrees F (190 degrees C) oven for about 1½ hours for a medium-sized sugar pumpkin, or until tender. Cut the pumpkin in half, discarding the stringy insides. Peel the pumpkin and cut it into chunks. Place in a saucepan and cover with water. Bring to a boil and cook until the pumpkin chunks are tender. Let the chunks cool, then puree the flesh in a food processor or mash it with a potato masher or food mill. Microwave on high power for seven minutes per pound, turning pieces every few minutes to promote even cooking. Process as above. You can refrigerate your fresh pumpkin puree for up to three days, or store it in the freezer up to six months, so you can enjoy fall pumpkins for months to come. Toss the pumpkin with a tablespoon of olive oil and one, small minced garlic clove in a large bowl. Season with salt and black pepper. Arrange the pumpkin in a single layer on a baking sheet. Roast until tender and lightly browned, 25 to 30 minutes. Wash the leek well and dice the white and light green parts. In a saucepan, bring 6 cups stock to a simmer. Melt 2 tablespoons butter in a large saucepan over medium heat and add the diced eek. Stir for 4-5 minutes or until soft. Reduce heat to low. Add 2 cups Arborio rice and stir to coat in the butter. Add 1/2 cup dry white wine and cook, stirring, until liquid is absorbed. Add stock, a ladleful at a time, stirring after each addition until all liquid is absorbed. When rice is almost cooked, add the pumpkin. Continue cooking,.until the pumpkin is hot and the rice is tender. Season with salt and freshly cracked black pepper, then stir in 1/2 cup grated Parmesan and the remaining 2 tablespoons butter. Serve topped with extra Parmesan cheese. Line a baking sheet with parchment paper and lightly dust it with flour; set aside. Generously flour the work surface and turn out the dough. Pat it into a rough rectangle and cut it into 4 equal pieces. Gently roll 1 piece into an even rope about 3/4 inch in diameter, flouring the surface as needed. Cut the rope into 3/4-inch pieces. Lightly flour your forefinger, your thumb and the tines of a salad fork. Using your thumb, lightly press the cut side of the gnocchi into the back of the fork tines, then roll it off with your forefinger; your thumb will leave a concave impression in the gnocchi that’s handy for holding sauce. Place the gnocchi on the prepared baking sheet. Repeat rolling and cutting the remaining 3 dough pieces. Bring a large pot of generously salted water to a boil over high heat. Line a second baking sheet with parchment paper and set aside. Add a third of the gnocchi to the boiling water and cook until they float, about 2 to 3 minutes, then let them cook about 30 seconds to 1 minute more so they’re just cooked through. Remove with a slotted spoon and transfer to the second prepared baking sheet. Repeat cooking the remaining gnocchi in 2 more batches. Set aside a large serving bowl. Melt 3 tablespoons of the butter in a large skillet over medium-high heat until foaming. Add 1 teaspoon of the sage. a pinch of black pepper and half of the gnocchi and cook, shaking the pan often, until the gnocchi are browned, about 3 minutes. Transfer with the slotted spoon to the reserved large bowl. 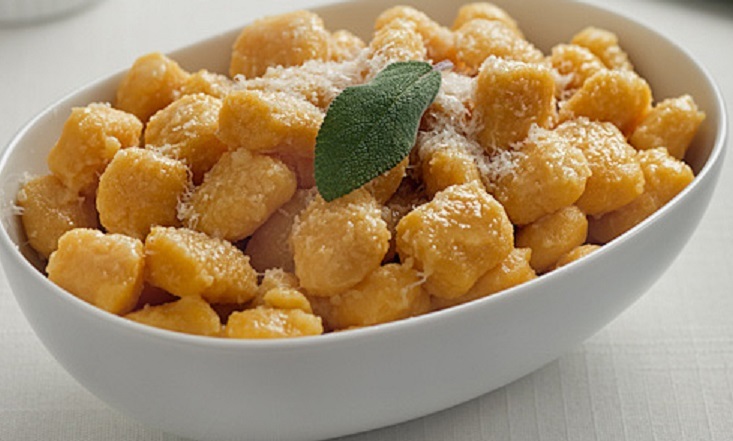 Repeat with the remaining butter, sage, gnocchi and more black pepper..
Gently toss the gnocchi with the Parmesan cheese and sprinkle with the hazelnuts, if using. Serve immediately. Bring a large pot of salted water to a boil and cook the penne al dente. Drain and set aside. In a large skillet, heat the oil and cook the sausages until well-done, 165°F as measured by a meat thermometer. Slice into ¼-inch slices and set aside. Add the garlic and onion to the skillet and sauté 3 to 5 minutes or until the onion is tender. Add the bay leaf and wine. Cook until the wine reduces by half; about 2 minutes. Add the chicken broth and pumpkin; cook, stirring, until sauce bubbles. Add sliced sausage and reduce heat and stir in cream. Season with nutmeg, salt and black pepper. Simmer 5 to 10 minutes to thicken the sauce. Remove the bay leaf from sauce and add the cooked pasta. Toss together over low heat 1 minute. Garnish with grated cheese and sage leaves. 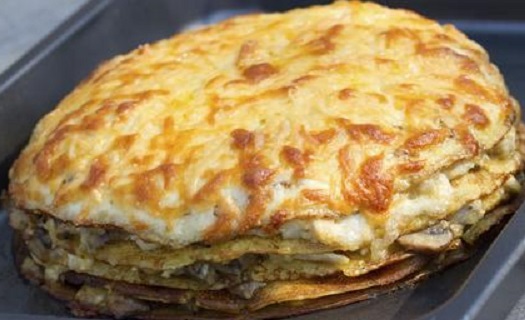 A strata is a brunch dish, similar to a quiche or frittata, made from a mixture of bread, eggs and cheese. It may also include meat or vegetables. 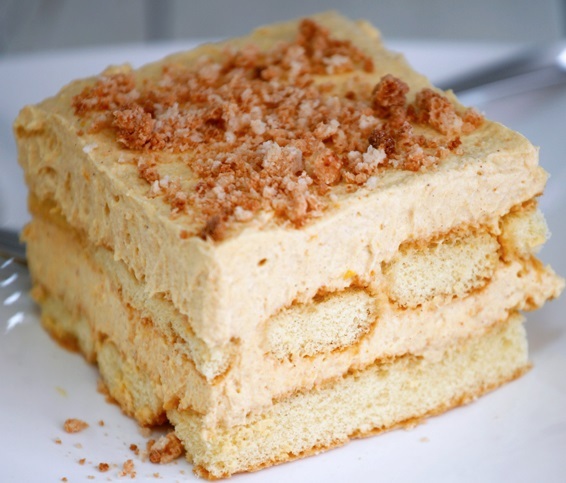 The bread is layered with the filling in order to produce layers (strata) and baked. In a large skillet cook sausage, onion, peppers and garlic in oil until the sausage is no longer pink; drain. Combine bread, cheese and sausage mixture in a large bowl. Mix together the half & half, pumpkin, eggs, salt, pepper and seasonings. Pour over the bread mixture and stir gently until bread is moistened. Pour into a greased 13×9 inch baking dish. Bake at 350 degrees F for 30-35 minutes or until set. In an electric mixer beat cream and sugar together until stiff peaks form. Fold in the mascarpone cheese, pumpkin and spices and beat until smooth. Pour the Amaretto liqueur into a shallow bowl. Dip each ladyfinger in the liqueur before arranging them along the bottom of a 13- by 9-inch baking dish, overlapping to fit. Spread one-third of the filling over the ladyfingers, sprinkle evenly with one-third of the Amaretti cookie crumbs and repeat with two more layers. Smooth the top of dessert and wrap tightly in plastic and foil. Refrigerate. Best when chilled overnight. 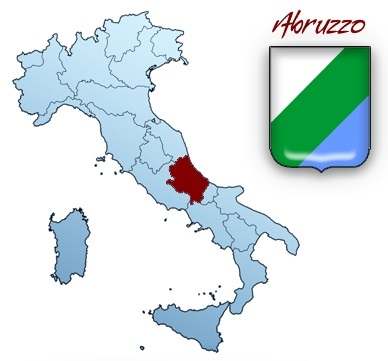 The region of Abruzzo is hilly and mountainous and stretches from the Apennines to the Adriatic Sea. In this part of the Adriatic, the long sandy beaches are replaced by steep and rocky coasts. L’Aquila is the regional capital. Pescara, Chieti and Teramo are other important cities. 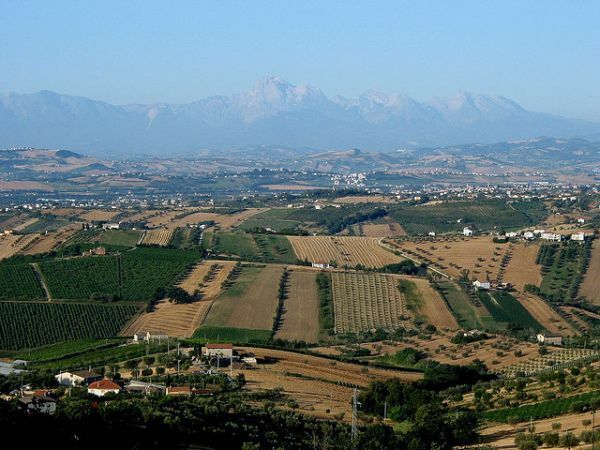 Abruzzo boasts the title of “Greenest Region in Europe” thanks to one third of its territory, the largest in Europe, being set aside as national parks and protected nature reserves. In the region there are three national parks, one regional park and 38 protected nature reserves. 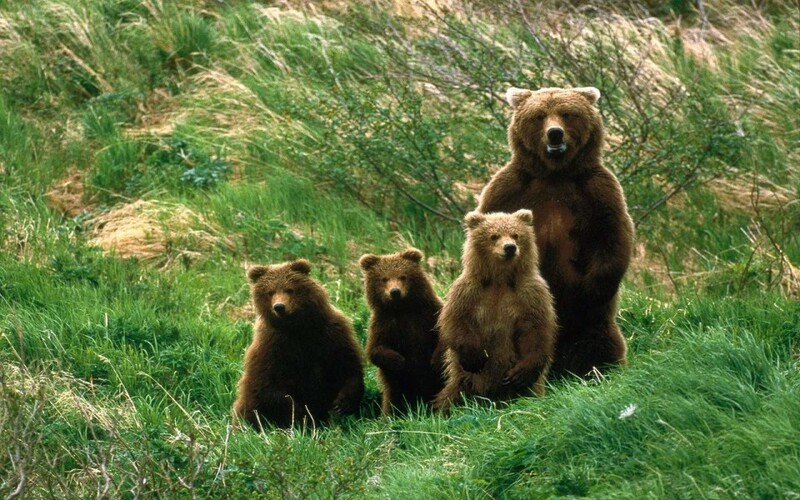 These ensure the survival of 75% of all of Europe’s living species and are also home to some rare species, such as the small wading dotterel, golden eagle, Abruzzo chamois, Apennine wolf and Marsican brown bear. 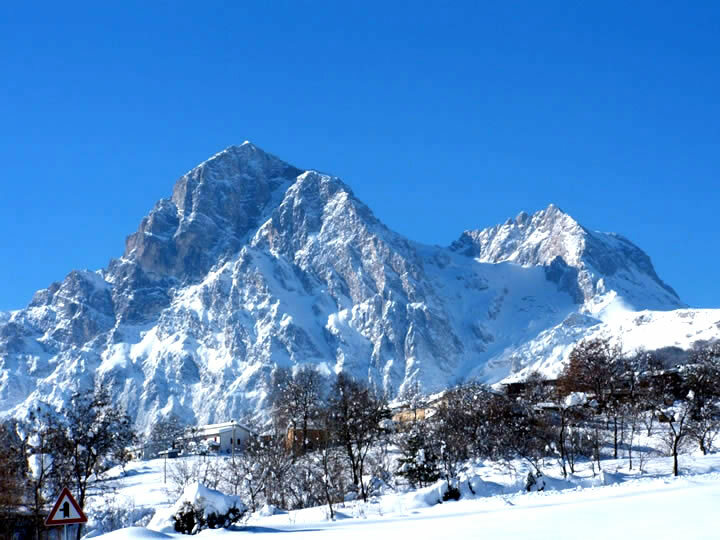 Abruzzo is also home to Calderone, Europe’s southernmost glacier. The Abruzzo region has two types of climate: the first is strongly influenced by the presence of Abruzzo’s Apennines range. Coastal areas have a Mediterranean climate with hot dry summers and mild winters, rainy hills and a climate where temperatures progressively decrease with increasing altitude. Precipitation is also strongly affected by the presence of the Apennines mountain ridges with increased rain on the slopes of the mountains in the region. Until a few decades ago, Abruzzo was a region of poverty in Southern Italy. 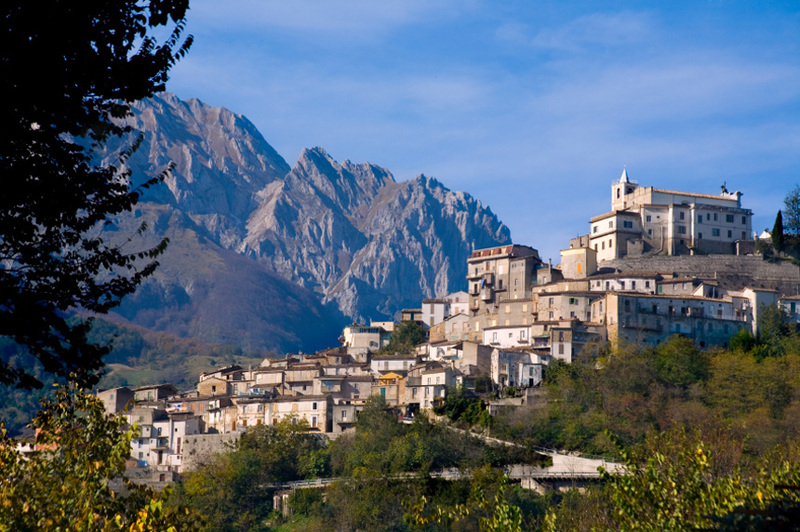 Since the 1950s, Abruzzo has had steady economic growth. In 1951, the Abruzzo per capita income or GDP was 53% of that of Northern Italy, the nation’s richest region. By 1971, Abruzzo was at 65% and, by 1994, the per capita income was at 76% of Northern Italy’s per capita income, giving Abruzzo the highest per capita GDP of Southern Italy and surpassing the growth of every other region in Italy. The construction of superhighways from Rome to Teramo (A24) and Rome to Pescara (A25) opened Abruzzo to easy access. Abruzzo also attained higher per capita education levels and greater productivity growth than the rest of the South. The 2009 L’Aquila earthquake led to a sharp economic slowdown. However, according to statistics at the end of 2010, it seems that the economy of Abruzzo is recovering, despite the negative data regarding employment. At the end of 2010, Abruzzo’s growth was placed fourth among the Italian regions with the highest annual growth rates after Lazio, Lombardy and Calabria. Abruzzo’s industrial sector expanded rapidly, especially in mechanical engineering, transportation equipment and telecommunications. Both pure and applied research are carried out in the region where there are major institutes and factories involved in research, especially, in the fields of pharmaceuticals, biomedicine, electronics, aerospace and nuclear physics. The industrial infrastructure is spread throughout the region in industrial zones, the most important of which are Val Pescara, Val Sangro, Val Trigno, Val Vibrata and Conca del Fucino. A further activity worthy of note is seaside and mountain tourism, which is of considerable importance to the economy of the region. In the past decade, tourism has increased due to Abruzzo’s wealth of castles and medieval towns, especially around L’Aquila. 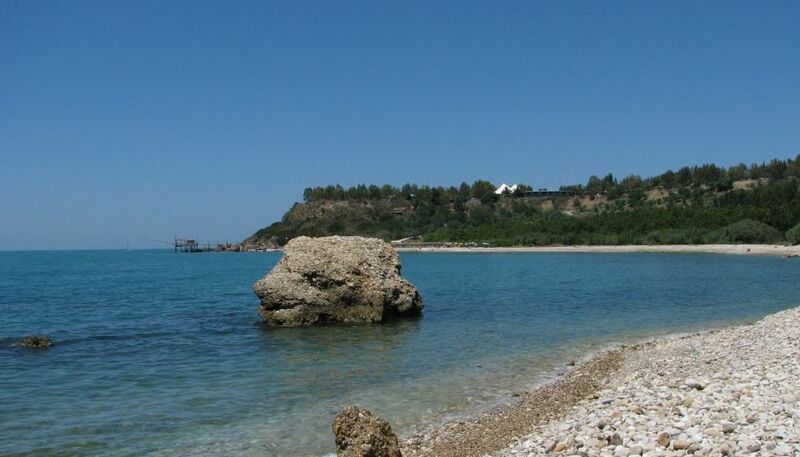 Beach-goers also flock to places like Tortoreto, Giulianova, Silvi Marina, Roseto and, further south, Ortona, Vasto and San Salvo. Ski resorts are equally popular. Agriculture has succeeded in modernizing and offering higher-quality products. The mostly small, agricultural properties produce wine, cereals, sugar beet, potatoes, olives, vegetables, fruit and dairy products. Traditional products are saffron and liquorice. Most famous in the wine world is Abruzzo’s Montepulciano d’Abruzzo. Montepulciano d’Abruzzo has earned a reputation as being one of the most widely exported DOC classed wine in Italy. Battered and fried zucchini blooms, spit-roasted scamorza cheese, vinegar-poached lobster, salame di pecora (a rare sheep’s meat salami), crepes loaded with cheese and vegetables in a rich mutton broth, hearty ragus, ricotta cheese drizzled with honey and dusted with saffron powder .… are just a few of the complex and elegant flavors to be found on Abruzzi tables. Ragus are a generalized term for any type of meat-based sauce. Ragus are heavily associated with the cooking of Southern Italy, as well, and seem to have begun their migration southward from the Abruzzi region. This is a cheese-loving region and mozzarella and scamorza take center stage on the dairy scene. Both cow’s milk cheeses are young, mild, creamy and sweet with smooth textures and a stringiness that allows them to hold up equally well in baked dishes or on their own as table cheeses. The maccheroni alla chitarra are highly renowned (homemade pasta cut on a machine with thin steel blades) and scrippelle are thin strips of pasta eaten in soup. On the coast, most first courses are fish-based, often made with tomato to enhance the taste of “poor man’s fish,” that are caught off the shores of ancient fishing villages. As for second courses, a typical recipe is scapece, which is pickled fried fish. Guazzetto or fish broth is also popular in coastal towns. Other than sea fare, one will find plenty of lamb, kid and mutton on the dinner table, while pork is used for prosciutto, lonza, ventricina and other typical salamis that are produced locally. Abruzzi lamb, in general, is considered superior in flavor to other lamb found elsewhere because of the animals’ mountain-grazed diets rich in herbs. Among the desserts, often made with almonds and honey, you will find nougat or torrone; confetti (typical sugared almonds) and cicerchiata, small balls of fried dough covered in honey. Lightly sauté the onion, carrot and celery in the olive oil. As soon as the mixture has cooled, add the saffron, mix well and then let rest to dissolve the saffron. Boil and peel the potatoes and cut them into chunks. Add 8 ¼ cups of water to the pot containing the saffron mixture and then salt to taste. Bring to a boil and add the pasta. When the pasta is cooked, add the potatoes. Heat and serve garnished with celery leaves. 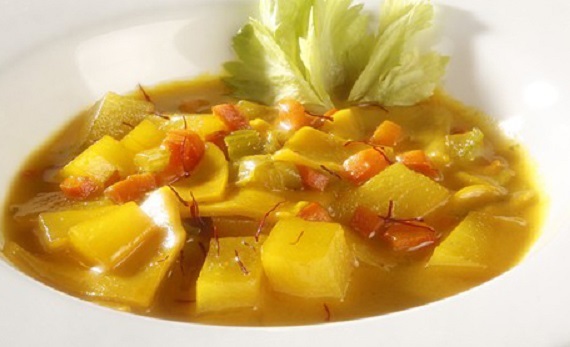 This recipe is often served at wedding lunches, where it generally follows the soup course. Mince the chicken liver and combine it with the ground meat. Heat 2 tablespoons oil in a saucepan and gently brown the ingredients over moderate heat for 3 minutes. Set aside. Clean the spinach, blanch in a little salted water for 5 minutes; drain, squeeze out any excess water and lightly cook it with the butter for 4 minutes. Set aside. Clean and trim the artichokes, discard the tough outer leaves and trim off the tips; cut in half, discard the inner fuzz and slice them. Sprinkle with the parsley and a dash of salt and cook in a saucepan with 3 tablespoons olive oil for 20 minutes, moistening with a little water, if need be. Set aside. Put the flour, eggs and 6 tablespoons water into a mixing bowl and beat with a fork. Take a small frying pan, the bottom should be as wide as the ovenproof dish to be used for the timballo, and heat a little olive oil in it over a moderate to low heat. Place 2 tablespoons batter into the pan, tilting to make sure it spreads out to cover the bottom; let it set and then flip. When the crespelle is ready, remove it from the pan and continue until all the batter has been used, greasing the pan each time with a little oil. Butter an ovenproof dish and lay a crespelle on the bottom. Make separate layers of sliced mozzarella, meat, spinach and artichokes, separating each with a crepe, adding a sprinkling of Grana cheese each time and a couple of tablespoons of the egg and milk mixture. Make sure there are at least 2 layers of each ingredient, cover with another crespelle and sprinkle with the remaining cheese and egg-milk mixture. Place the dish in the oven and bake at 220°C/425°F for 30 minutes. Put the oil and onion in a large skillet and cook over moderately high heat, stirring frequently, until the onion is pale gold. Add the pancetta and rosemary and cook, stirring occasionally, until the pancetta fat is rendered; the pancetta should remain soft. Add the lamb and cook until browned, 5 minutes. Season with salt and pepper and stir. Add the wine and simmer until evaporated, 10 minutes. Add the tomatoes and simmer gently, stirring from time to time, until the fat begins to separate from the sauce, 15 minutes. Meanwhile, fill a large pot with 4 quarts of water and bring to a boil. Add 1 1/2 tablespoons of coarse salt, cover and return to a boil. Add the pasta to the pot and stir rapidly with a wooden spoon. Cover and bring back to a boil. Uncover and cook the pasta, stirring frequently, until it is al dente. Drain the pasta and immediately transfer it to a warmed bowl. Toss with the lamb sauce and the 1/3 cup of grated cheese. Serve at once, passing additional cheese at the table. But among Abruzzo’s desserts, Parrozzo is the most remarkable. In ancient times, Abruzzo peasants made cornmeal bread in the shape of a dome and baked it in a wood-fired oven. They called this “pan rozzo” meaning ‘unrefined bread,’ as opposed to the regular and more expensive white flour bread eaten at the time only by higher classes. At the turn of the 19th century, pastry chef Luigi D’Amico re-invented that recipe by using eggs instead of cornmeal to obtain the bread’s golden hue. He kept the dome shape and topped it with a dark chocolate coating to reproduce the bread’s charred crust. Blanch almonds in boiling water and peel off the husk, and grind them with 2 tablespoons of sugar in a processor. Work butter with a fork, add the remaining sugar and the egg yolks and whisk well. Fold in the ground almonds and then the flour and cornstarch. Beat the egg whites in a mixer until soft peaks form and then and fold into the almond mixture. 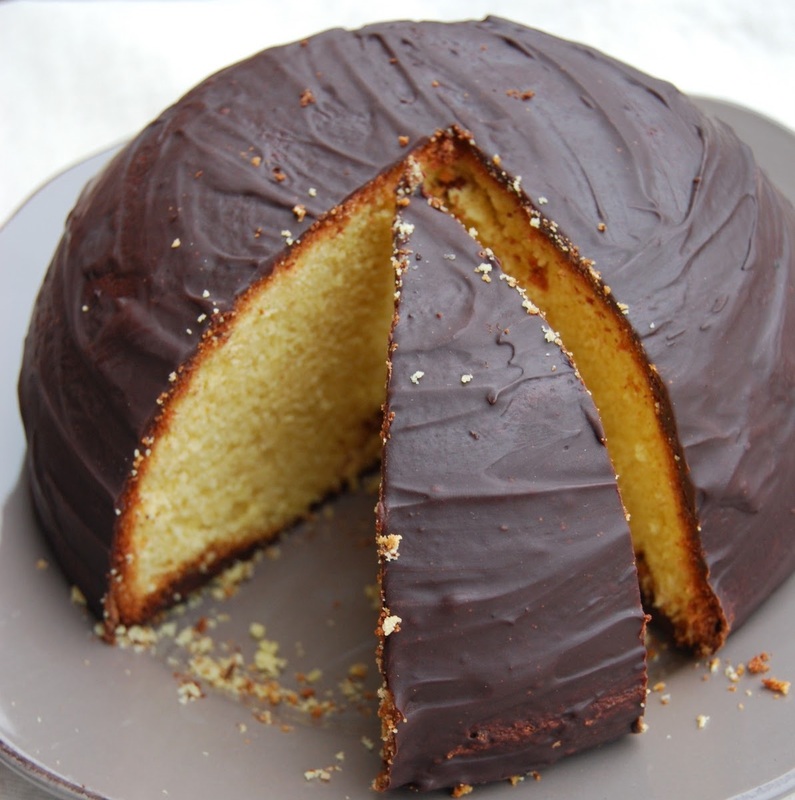 Pour mixture in a buttered Bundt pan or dome-shaped cake mold and bake at 450° F for 45 minutes. Melt the chocolate in a double boiler and once the parrozzo has cooled, spread the chocolate sauce over the entire surface. Allow the chocolate to set before cutting. Have A Pound Of Penne Pasta? There are approximately 350 different dried pastas produced in Italy that are made from durum wheat and semolina flour. Penne is a tube-shaped pasta that originated in Campania, a region in Southern Italy, and comes in two main varieties: penne lisce and penne rigate, with the rigate having ridges on each noodle. 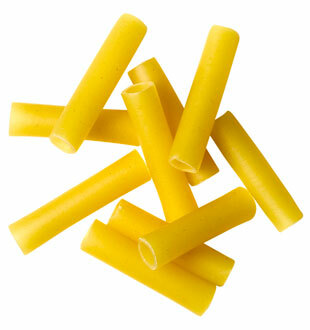 The name “penne” comes from the Italian word for “pen” (penna), a reference to the angled ends of the tube, which resemble the tip of a quill pen. This pasta can be used in a wide assortment of dishes, from casseroles to soups. The tubes are relatively short, around the length and width of a pinkie finger. Cooks may also hear penne pasta referred to as mostaccioli, in a reference to an Italian dish that traditionally features this pasta. And, there is also ziti, which are hollow long wands, with a smooth texture and square-cut edges. When they are cut into shorter tubes, they are called cut ziti. 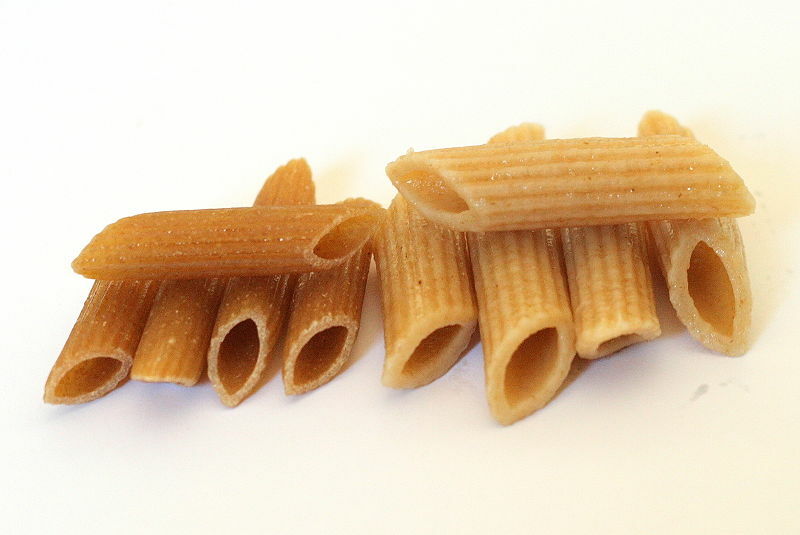 Telling the difference between penne variants can be difficult, especially in countries outside of Italy, because there is a tendency to name ridged and smooth penne subtypes the same. Basically, the difference is penne is cut on the diagonal and is longer and thinner than ziti. Penne is probably one of the more well-known pasta shapes, available in most markets and grocery stores that stock pasta. Dishes made with it are frequently on the menu at Italian restaurants, especially in the United States, where consumers have a fondness for this shape. Whole wheat and multigrain versions are available, along with gluten-free pastas made from rice, corn or other ingredients. Many producers also make flavored varieties by adding ingredients, such as spinach or sun dried tomatoes. The best tasting penne is made with durum wheat because it will remain chewy and resilient throughout the cooking process. 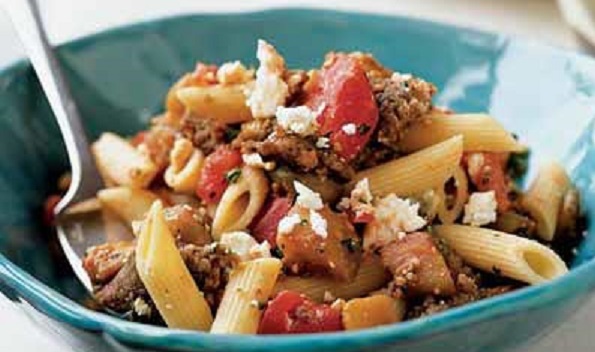 Ridged penne pasta pairs very well with many pasta sauces, because the ridges can be used to hold thin sauces or to support thick, chunky sauces. Its hollow nature also helps distribute the sauce, ensuring that pasta dishes are evenly and appealingly sauced. Penne is traditionally cooked al dente and served with pasta sauces such as pesto, marinara or arrabbiata. 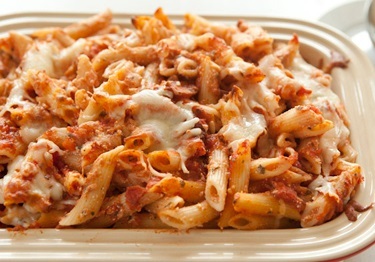 In addition to being plated with sauce, penne holds up well when baked in a casserole. 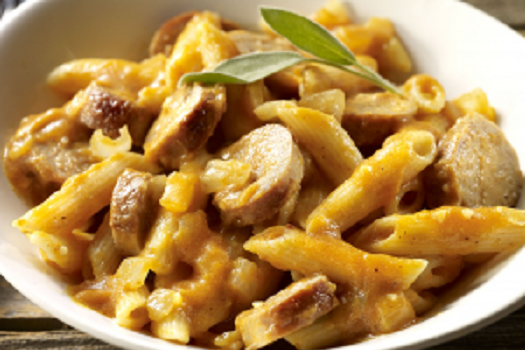 You will also find penne used cold in salads, added to soups or used as a side dish. Dried pasta is essentially indestructible as long as it is stored in a cool, dry place. This makes it a useful staple to keep around the house, because as long as the pasta is not exposed to moisture, it will be perfectly usable. Ricotta salata (also called “hard ricotta”) is a firm white Italian cheese made by salting, pressing and drying sheep’s-milk ricotta. In flavor, it’s like a very mild, less tangy feta, which makes it a good addition to pastas and salads (it can be grated). Look for ricotta salata in specialty stores, Italian markets or any supermarket with a good cheese department. In a large skillet over high heat, cook onions in 3 tablespoons olive oil with the sugar and 2 teaspoons salt, stirring and turning often, until onions begin to release their juices and turn golden, 10 to 13 minutes. Reduce heat to medium and cook, stirring occasionally, until onions turn a caramel color and become quite sweet, 35 to 40 minutes more. If onions begin to stick to the pan or char during cooking, reduce heat. Meanwhile, in a dry small frying pan over medium-low heat, toast walnuts, stirring frequently, until golden, about 10 minutes. Remove from heat and cool slightly. Pour walnuts into a zip-lock plastic bag and lightly crush with a rolling pin. Set aside. When onions are nearly done, cook pasta in boiling salted water until tender to the bite, 9 to 12 minutes or according to package instructions. Drain pasta, reserving 1/2 cup cooking water. 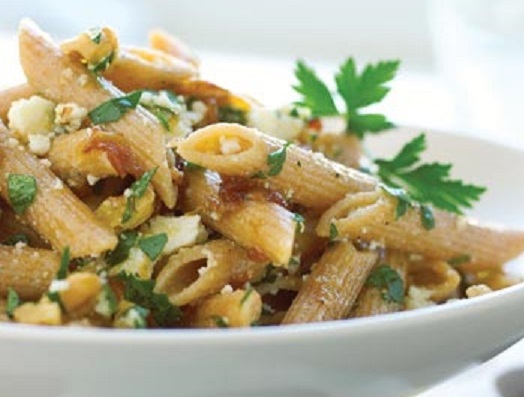 Mix caramelized onions with pasta, walnuts, ricotta salata, parsley, reserved cooking water, lemon juice, pepper and remaining 2 tablespoons olive oil. Season to taste with salt. While the broiler preheats, bring 3 quarts of salted water to a boil in a large Dutch oven. Add pasta; cook 5 1/2 minutes. Add beans and cook 3 minutes or until pasta is al dente. Drain well. Sprinkle steak with the garlic-pepper blend. Place on a broiler pan; broil 3 inches from heat for 10 minutes, turning after 5 minutes. Let stand 5 minutes. Cut steak diagonally across the grain into thin slices. Combine onion and next 8 ingredients (onion through black pepper) in a large bowl. Add pasta mixture; toss well to coat. Place steak slices on top. Sprinkle with cheese, if desired. Melt 1 tablespoon butter in a large nonstick skillet over medium-high heat. Add shrimp. Sprinkle with 1/4 teaspoon salt and sauté 2 minutes or until the shrimp are pink. Remove shrimp from the pan and set aside. While you make the pasta sauce, cook penne according to package directions. Drain well; return to pan. Stir in spinach; toss well until spinach wilts. Melt the remaining butter in the skillet over medium heat. Add onion; cook 10 minutes or until tender, stirring often. Stir in broth, vermouth and lemon zest. Increase heat to medium-high; cook 8 minutes or until mixture begins to thicken. Reduce heat to medium. Add cream cheese; stir until well blended. Stir in 1/4 teaspoon salt, nutmeg and pepper; remove from heat. Stir in shrimp to rewarm. Add mixture to pasta and spinach; toss to combine. Cook eggplant, sausage and garlic in olive oil in a large nonstick skillet over medium-high heat 5 minutes or until sausage is browned and eggplant is tender. Be sure to stir often to keep eggplant from sticking to the pan. Add tomato paste and the next 3 ingredients (through tomatoes); cook over medium heat 5 minutes, stirring occasionally. Place cooked pasta in a large bowl. Add tomato mixture, cheese and parsley; toss well. Cook the pasta according to package directions. Retain 1/2 cup of pasta cooking water. Drain. While pasta cooks, place raisins in a small bowl; cover with hot water. Let stand 10 minutes. Drain. While pasta cooks and raisins soak, heat oil in a large nonstick skillet over medium-high heat. Add greens and garlic; sauté 3 minutes or until greens are tender. Stir in pasta, raisins, almonds, salt and 1/8 teaspoon black pepper; toss to combine. Moisten with pasta cooking water. Sprinkle with cracked black pepper according to taste.